Introduce students to knights of the Middle Ages with these PowerPoint slides. Students will learn about some of the milestones required to become a medieval knight and the duties required of the position. Eyewitness: Knight is a spectacular and informative guide to the life and times of the medieval knight and his followers with superb color photographs of everything from suits of armor to the lord and lady of the manor in full costume. 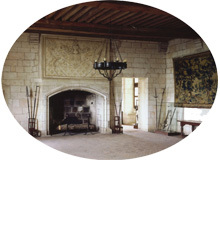 Get a look into the lives of medieval people at peace and during wartime.